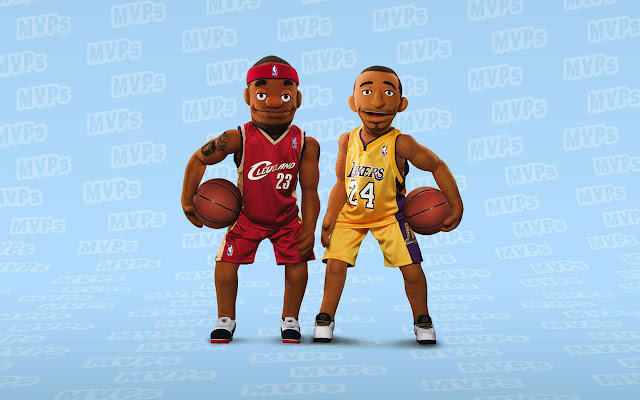 In the late 2000s, Nike created a popular, but short-lived campaign featuring NBA superstars, Kobe Bryant and LeBron James as puppets who lived together and got into all sorts of crazy shenanigans. The campaign entitled, 'MVPuppets' ran from the start of the 2008-09 NBA season and trickled into the midway point of the 2009-10 season. For those fans who are too young to remember, this was when the Kobe vs. LeBron debate was at an all-time high, in which the discussion never ends. These commercials aired when Kobe had only three championship rings and LeBron was still looking for his first with the Cavs. These commercials perfectly summed up what most of us would think would happen if LeBron and Kobe were roommates: a Young LeBron being excited to be in the playoffs, paired with a cool and calm Kobe acting the veteran he was. Overall, it was a great campaign and it's great to see the campaign come back to life one more time, to honour one of the game's all-time greats.